It is a fact that China has done more to reduce severe poverty than any nation on the earth and 90% of global poverty reduction starting in the 1980s took place in China. In addition, the Chinese Communist Party, starting in 1949, was the first government in China’s long history to have an organized plan to reduce poverty in that country. Even during Mao’s era, there were annual improvements in the economy, health, life span, mortality rates and lifestyles in spite of the Great Leap Forward and the Cultural Revolution. To create an in-depth profile of China, I’ve written more than a thousand posts and a half million words. To talk about the reason India’s economy will not surpass China for a long time led to this post. Then, Manjeet Pavarti, an Indian citizen, challenged my opinions on this subject. It is obvious that Pavarti must be a nationalist who loves his country—an admirable trait except when a patriot is misguided and possibly misinformed and/or uninformed. In Pavarti’s last comment of October 16, 2010 at 01:33, he challenged my sources—a photojournalist (Tom Carter) with extensive experience traveling in China and India, and my use of evidence from The Economist. Next, is Foreign Policy magazine’s Prime Numbers, Mega Cities, where there are no opinions—just facts. I’m going to cover “three” that are roadblocks to India future economic growth. My wife and daughter returned from China last summer with a crate of Chinese movies on DVDs—there wasn’t one American movie in the mix and many do not have English subtitles. Therefore, it is strange that the one Chinese film that impressed me the most (so far) was one I discovered at a local Half Priced Books. 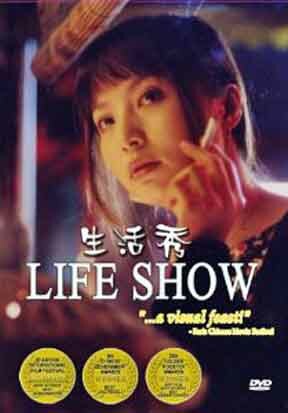 The movie was Life Show (2002) adapted from a book by Chinese author Chi Li. Since the late 1980s, Chi Li has been considered a pioneer of “new realism” and her work depicts ordinary life in China so critics have identified her work with the Western school of “existentialism”. In fact, it was the “ordinary element” of her work that I saw in the film which captured my curiosity to learn more. Since I’ve traveled to China several times since 1999 and not with tour groups, I’ve visited streets similar to the ones that appear in the film. I’m sure most foreign visitors to China that visit on packaged tours do not see the ordinary side of China as I have. My wife says Chi Li is one of her favorite Chinese authors. The first time I was introduced to Chi Li’s work was through Life Show, which tells the story of Lai Shuangyang, a restaurant owner played by Tao Hong. Shuangyang’s life is busy dealing with family and business but she is lonely until one of her long-time customers, played by Tao Zeru, shows a romantic interest in her. Zeru plays a middle-aged businessman, and Shuangyang takes a risk and the two strike up a romance that ends when she discovers he is the developer behind the modernization of the area where she has her restaurant. He offers to take care of her but it is obvious that Shuangyang values her personal freedom and independence and in a fiery scene, she breaks up with him. Lai Shuangyang’s life is filled with complications. Her younger brother Jiuju is a drug addict in jail/rehab. The woman that loves Jiuju is Mei, who works for Shuangyang in her restaurant. Mei attempts suicide because Jiuju is not interested in her, and then Shuangyang arranged a marriage for Mei to another man, who is mentally ill. Her sister in law, Xiaojin, is trying to regain the Lai family’s home, which was given to a neighbor during the Cultural Revolution. In addition, Shuangyang is at risk of losing her restaurant due to a redevelopment project in Wuhan. Chi Li, the author of Life Show, is one of China’s best-known writers and several of her novels have been translated into French by publisher Actes Sud. Chi Li was born 1957 in Wuhan, Hubei province, graduated from the Chinese Language Department of Wuhan University and then worked as an editor of a literary magazine called Fang Cao (Fragrant Grass). Chi Li rarely travels and avoids “literary circles”. “If my unsociability is thought to be a flaw, I admit I’m a person with a flaw,” Chi has said. Chi Li, Chinese author of "Life Show"
During the Cultural Revolution, like millions of other young Chinese, she was sent to the countryside to become an “educated youth”. Later she studied medicine and practiced for five years before becoming a teacher. Today, she is a member of the National People’s Congress (NPC), which provides an opportunity to discuss politics with other representative of the NPC providing an understanding/education of China’s policies and political atmosphere. Chi Li’s work relates to love, marriage, divorce and extramarital affairs of contemporary Chinese life, while her characters are imbued with common human traits such as ambition, deceit, jealousy, and sexual desire. 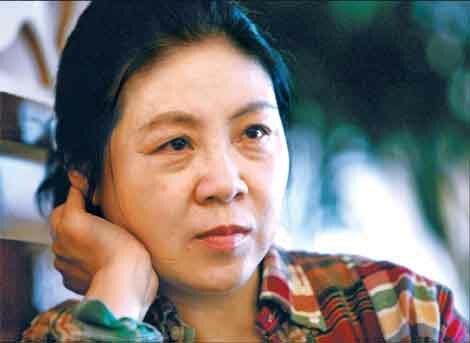 Her work, Comes and Goes, was a story of extramarital affairs occurring in Wuhan and became a TV series of same name. The city of Wuhan comes alive in her work—enough to be considered a character. Although many of her novels have been translated into French, there are no English translations yet, which is a shame.